Everyone who has two computer monitors knows how handy it is to be able to work with two windows simultaneously. 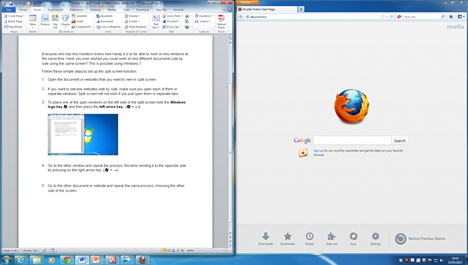 Have you ever wished you could work on two different documents side by side using the same screen? This is possible using Windows 7. 1. Open the document or websites that you want to view in split screen. 2. If you want to see two websites side by side, make sure you open each of them in separate windows. Split screen will not work if you just open them in separate tabs. 3. 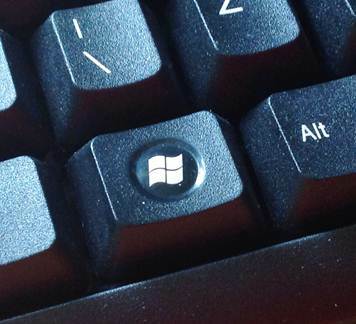 To place one of the open windows on the left side of the split screen hold the Windows logo key and then press the left arrow key. 4. Select the other window and repeat the process, this time sending it to the opposite side by holding the Windows logo key and pressing on the right arrow key. 5. 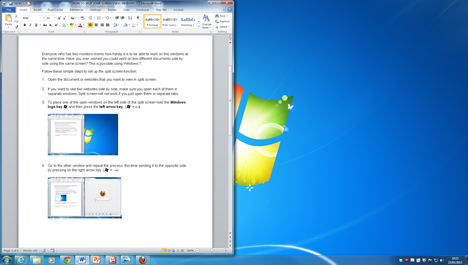 You can now work with the two windows side by side. To exit the split screen function, select the window you want to maximise, hold the Windows logo key and press the up arrow key.